- 피부의 오염물을 부드럽게 씻어주는 제품 입니다. - 샴푸 및 바디워시 겸용 제품 입니다. - 달콤한 바닐라 향을 담은 제품 입니다. - 유연하고 매끈한 피부로 가꿔 줍니다. and natural line of personal care products with no compromises. Gentle enough for babies, yet beneficial for older children, and even mom and dad. Made with the highest quality botanicals, essential oils, and luxurious moisturizers to pamper your baby's tender hair and skin without drying. Rinse hair with warm water. Apply to skin and/or hair using your hand or a washcloth. Lather and rinse. 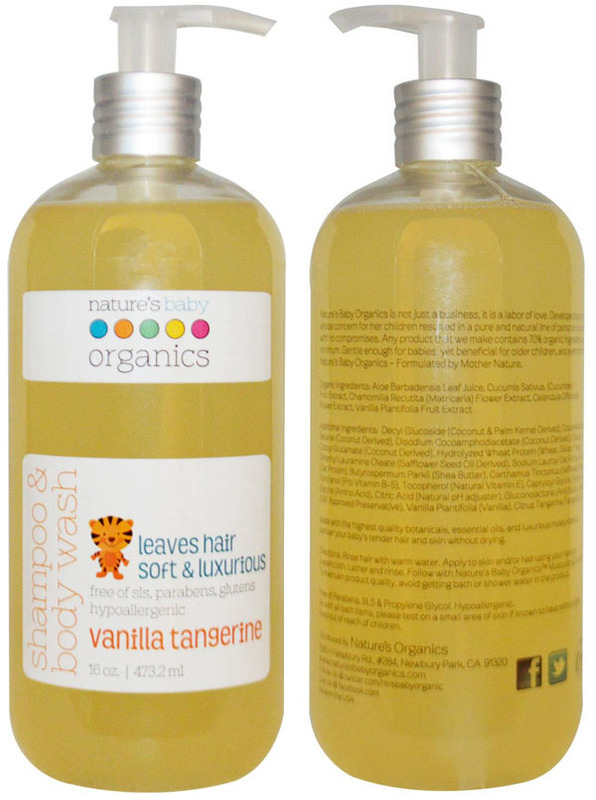 Follow with Nature's Baby Organics Moisturizing Conditioner. In order to maintain product quality, avoid getting bath or shower water in the product. As with all bath items, please test on a small area of skin if known to have allergies.